Solid home in need of renovations almost at the end of Newbury Neck. 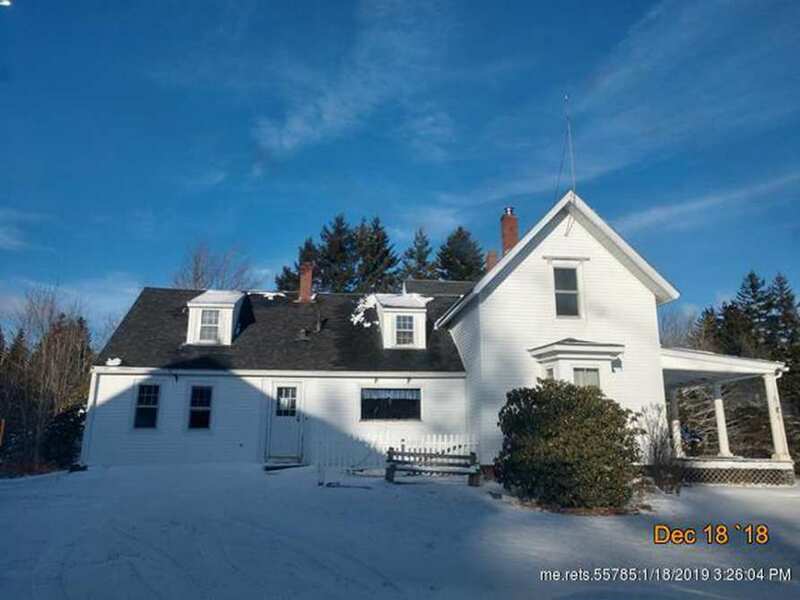 Roof shingles were done recently, and there are some nice original details inside including fireplaces, original woodwork, and wood floors. 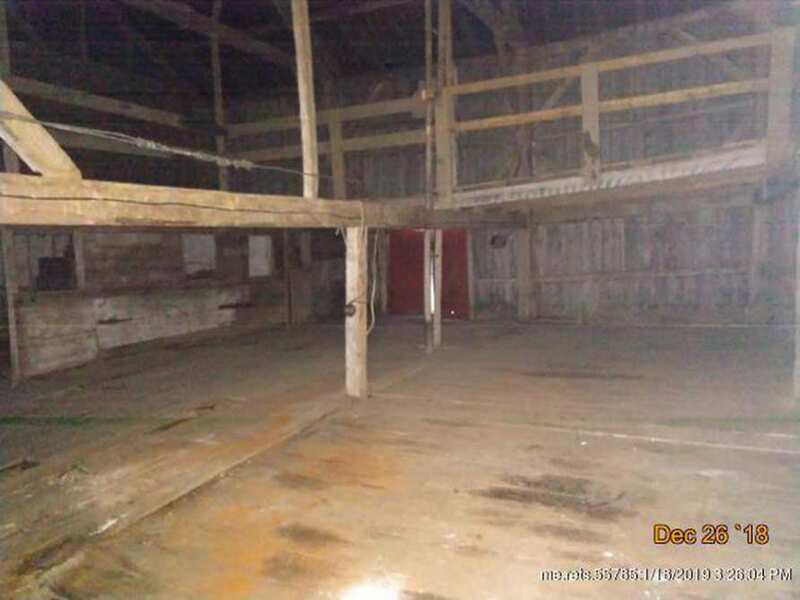 There is also a large barn with attached workshops all situated on twelve acres of fields and woods with some ocean views. 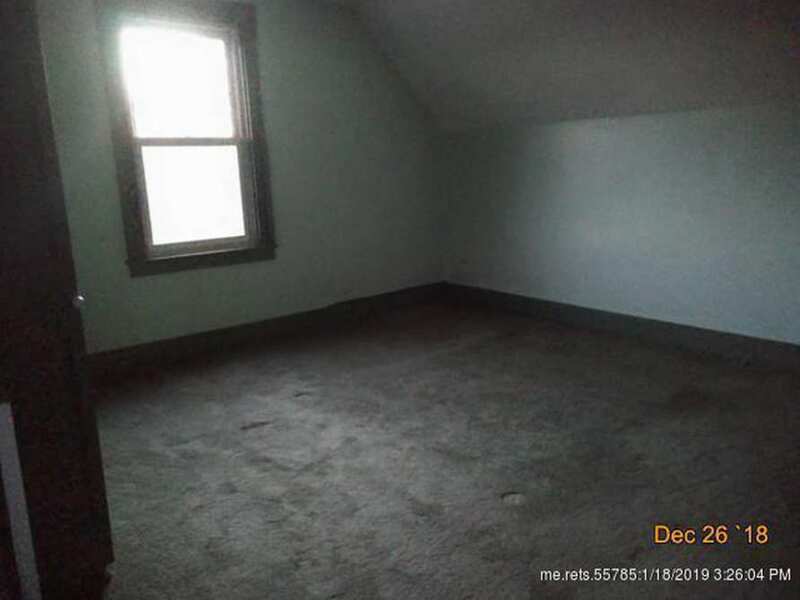 Property is being sold 'as is', cash only. Okay, I’ll be the first one to ask. 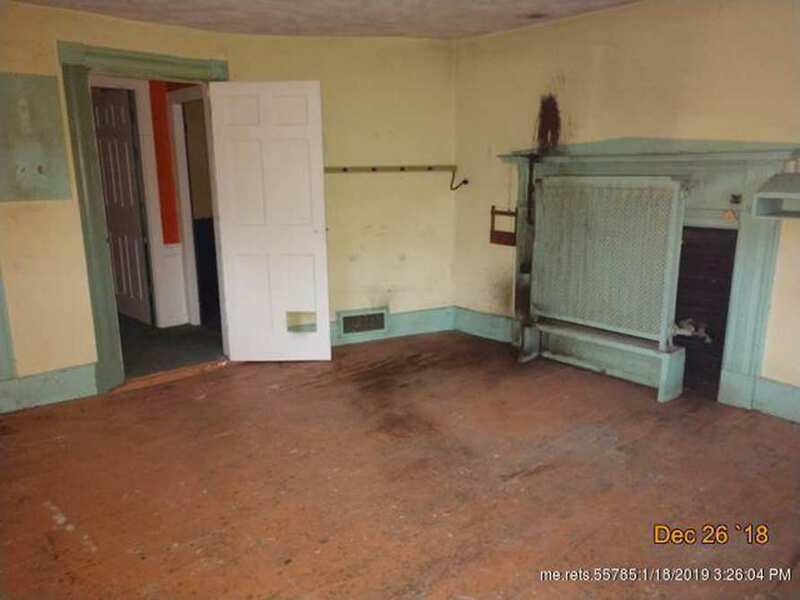 What is that thing in front of the green fireplace? It appears to some type of old radiator. 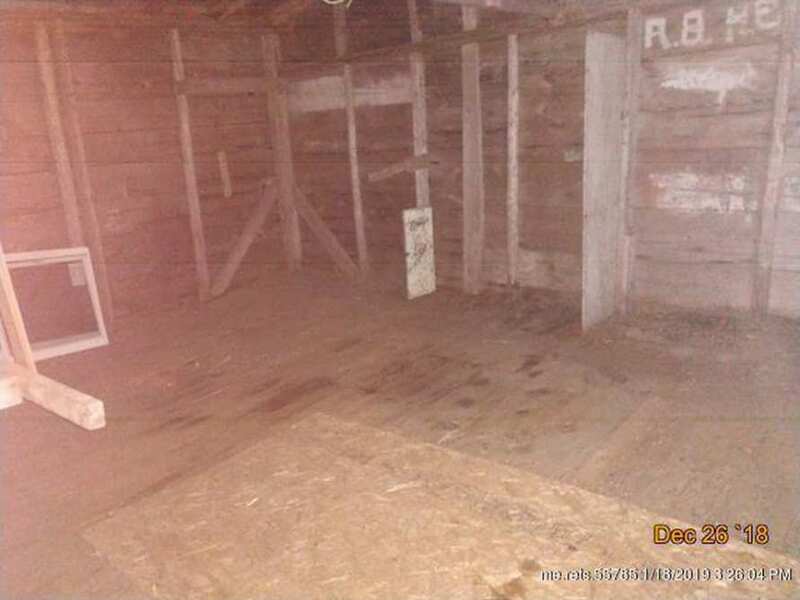 Notice the faucet located in the bottom right hand side. Why it was placed right in front of the fireplace is anybody’s guess, but that is what I would say it is. 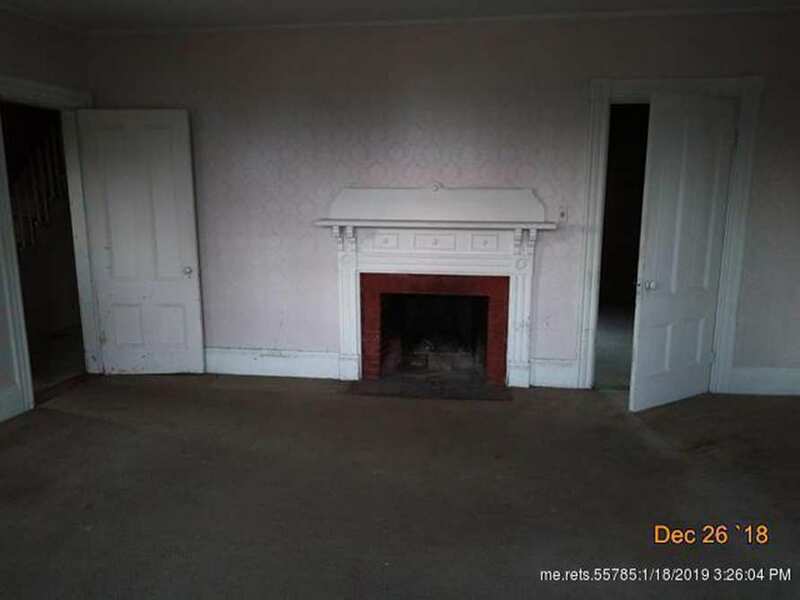 With four fireplaces in the house it would appear that they were the original heat source for the building. I believe it’s a radiator. Odd place for it, but that’s what it looks like to me. Only thing is, I see forced-air registers around the other rooms. Intriguing. looks like some kind of radiator to me. Looks like some kind of radiator. 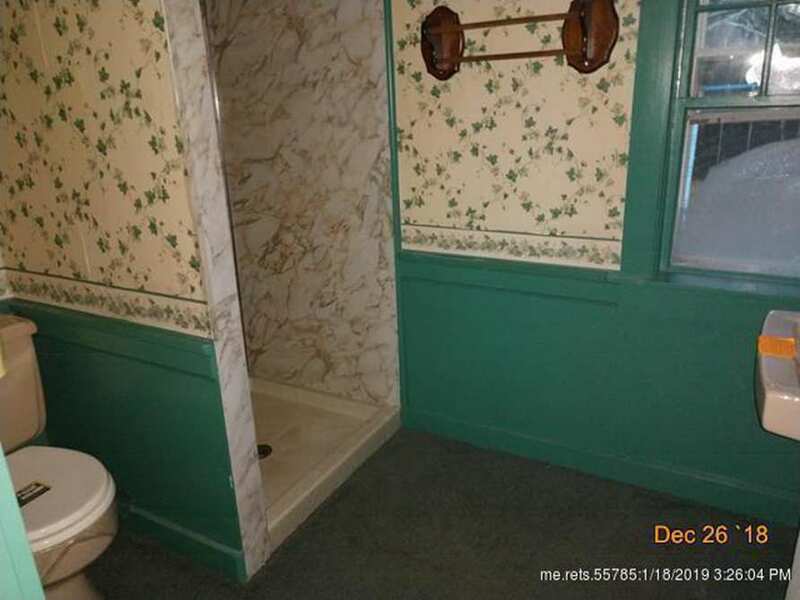 Maybe they used it as a hot water heater? 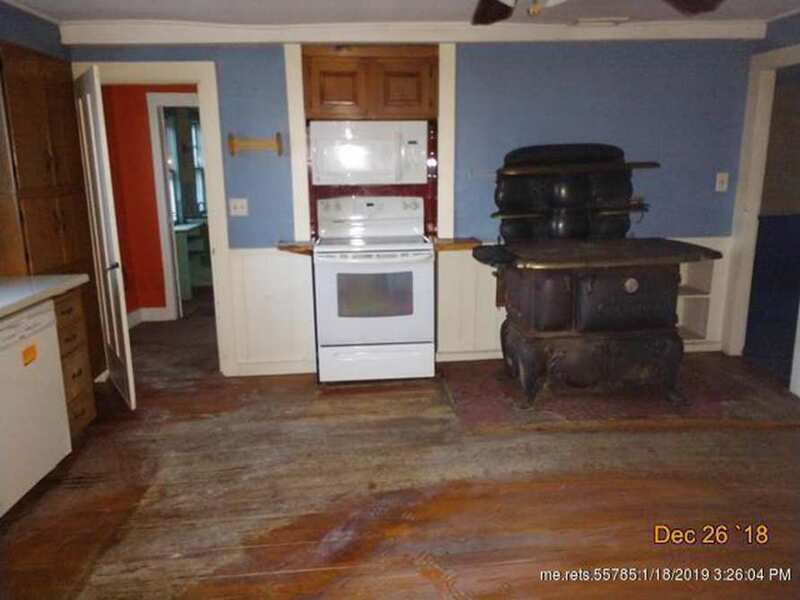 This is a beautiful home & look at that old stove! I hope whoever buys will keep it true to its time!! 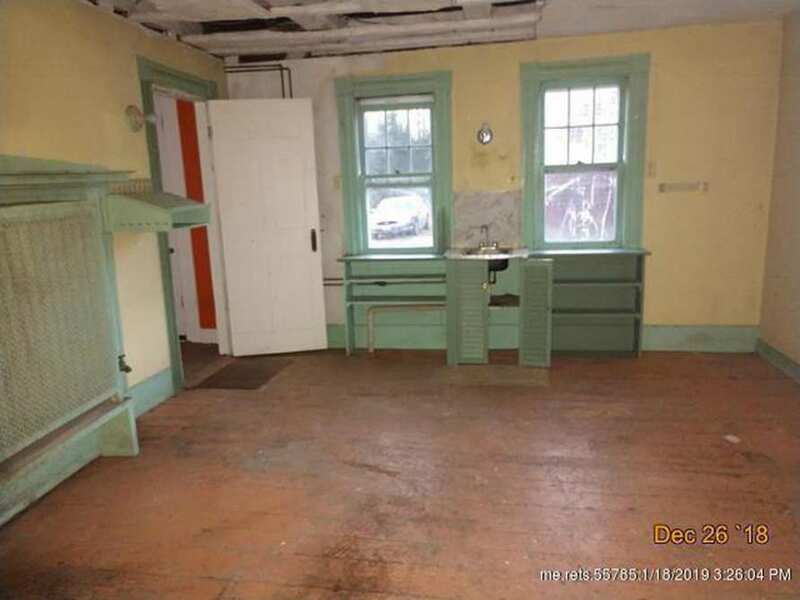 Best part of this house is the antique stove in the kitchen!! What a gem. The rear ell is actually an early 19th cape low posted cape that had a center chimney. 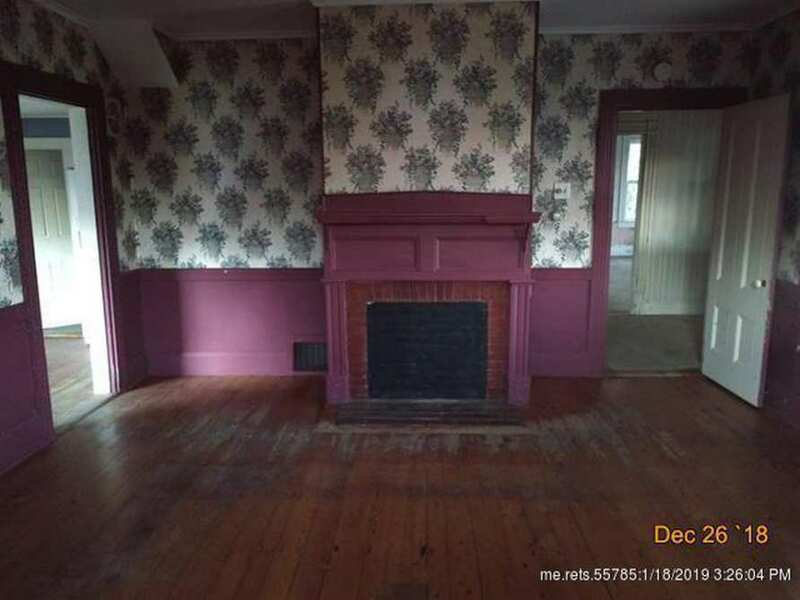 The crazy radiator assembly is in front of an original fireplace. 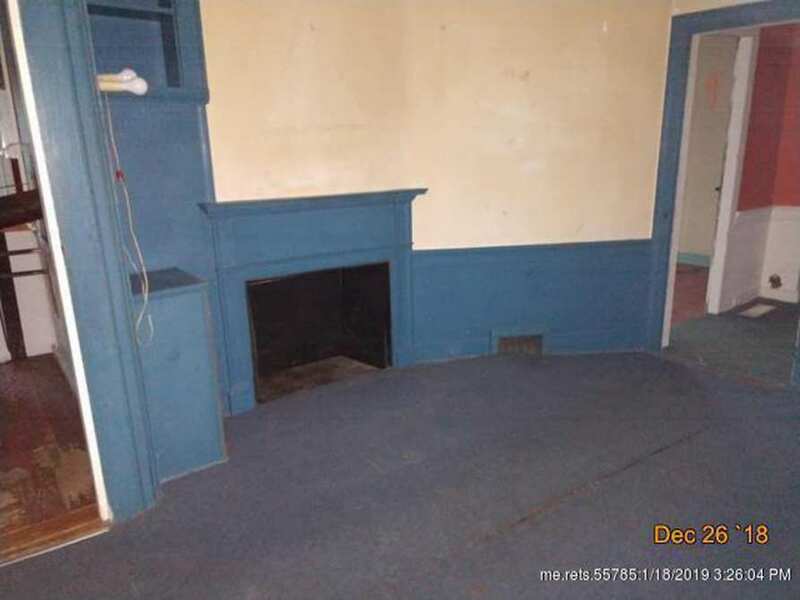 Note the angled wall to the left of that fireplace and the angled wall to the right of the fireplace in the room with the blue woodwork. 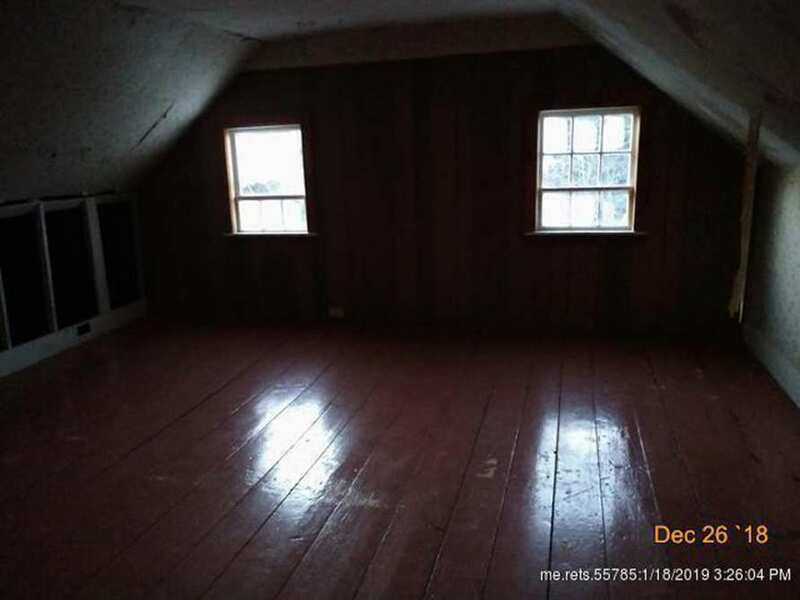 These angled walls were a Maine way of having a 2 room deep house without enough depth of the house to do it with conventional straight walls. 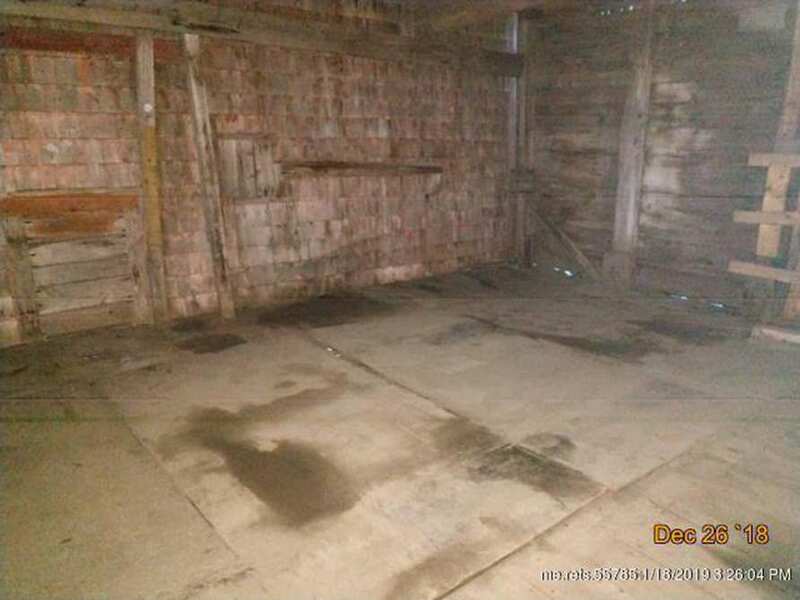 The barn is also interesting. It is an english style (main door under the eaves) with a rafter purlin roof framing system. 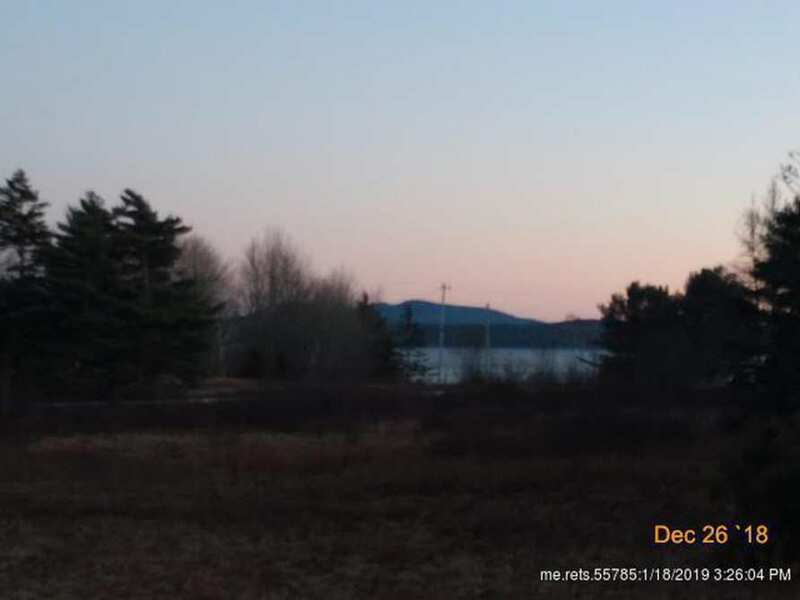 This type of framing is very early in the rest New England, but lingered in Maine until about 1830. 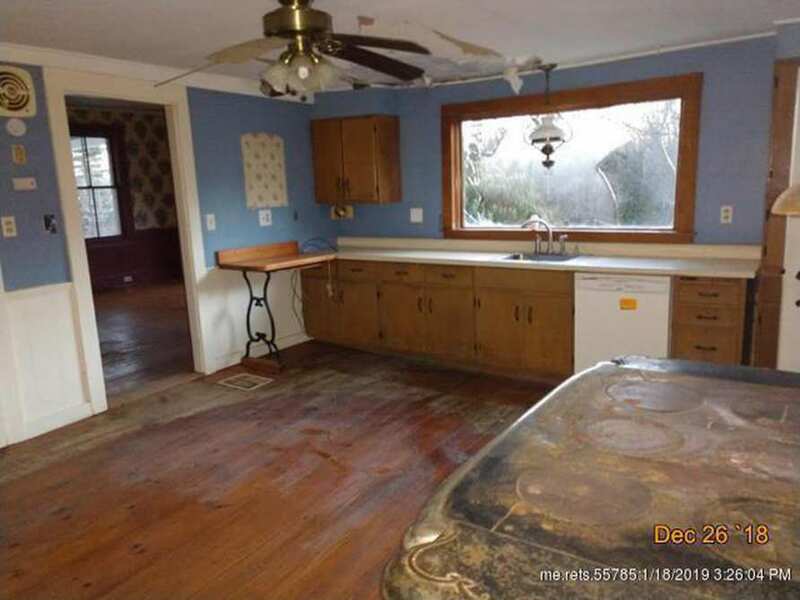 I love how big that window is over the sink in the kitchen! 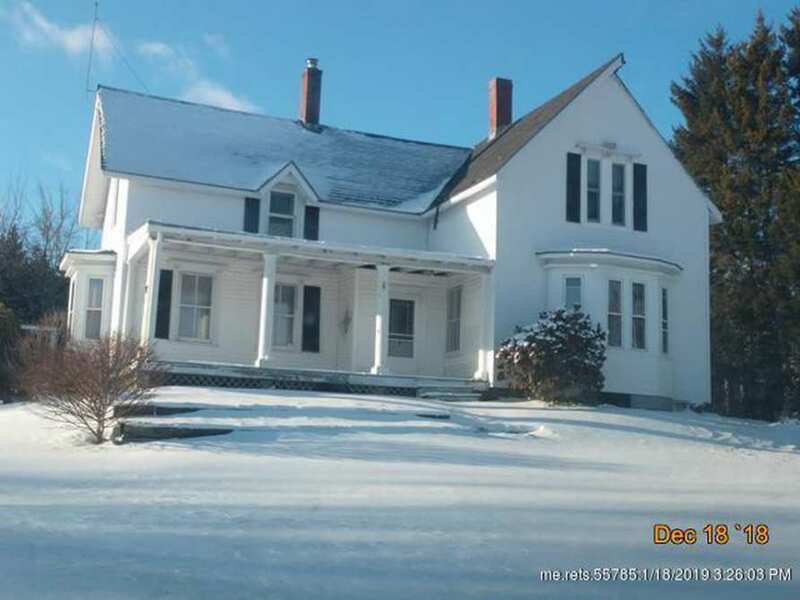 Wouldn’t mind one bit taking on this project house, especially with all that acreage! Oh, this beauty could really SING! 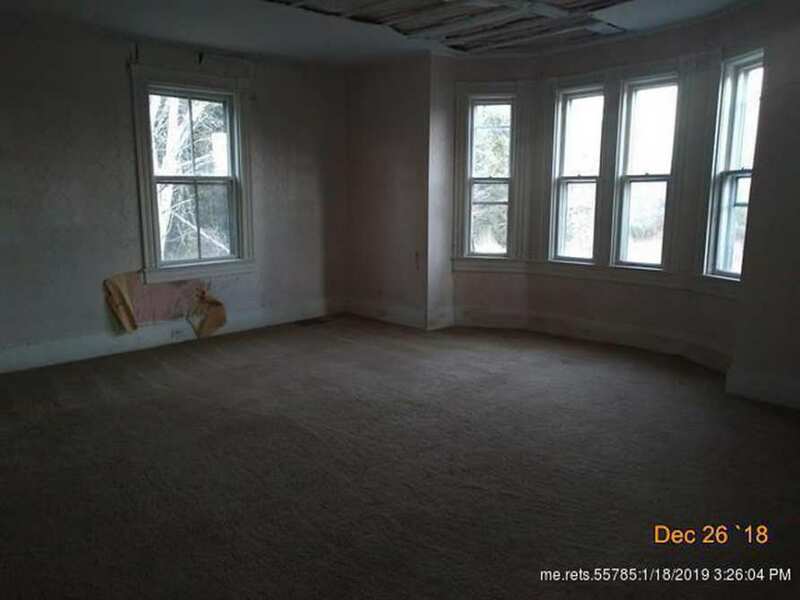 I’d start with insulating all the walls. 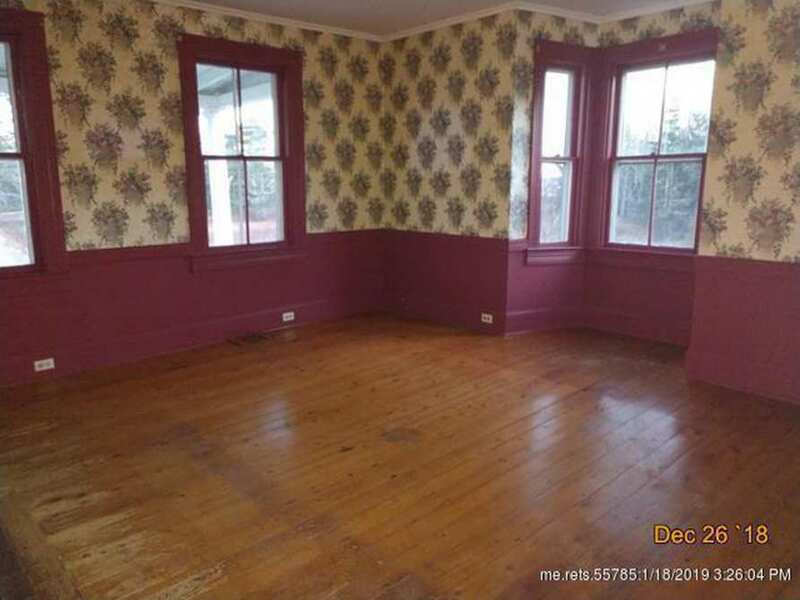 Too bad there is so much paint on the woodwork, but I’d fix it. 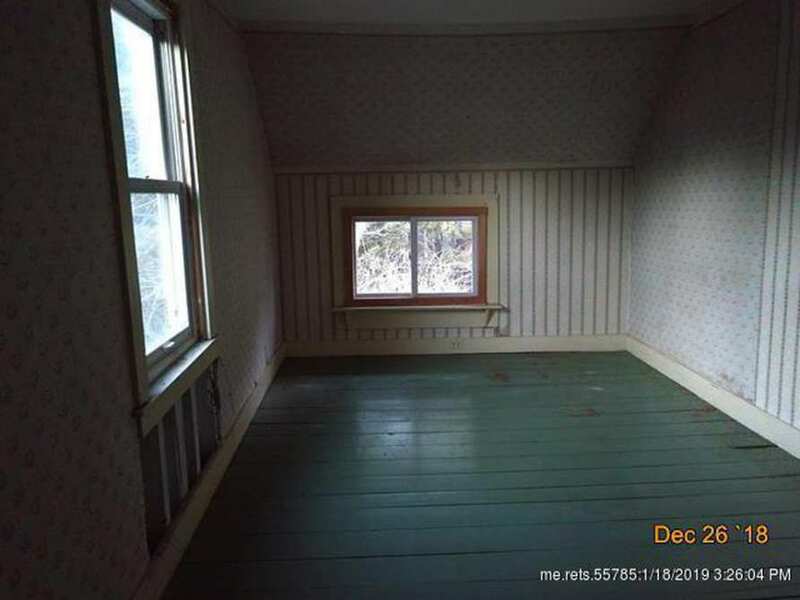 Could see a “cottage style” set of windows over the sink. 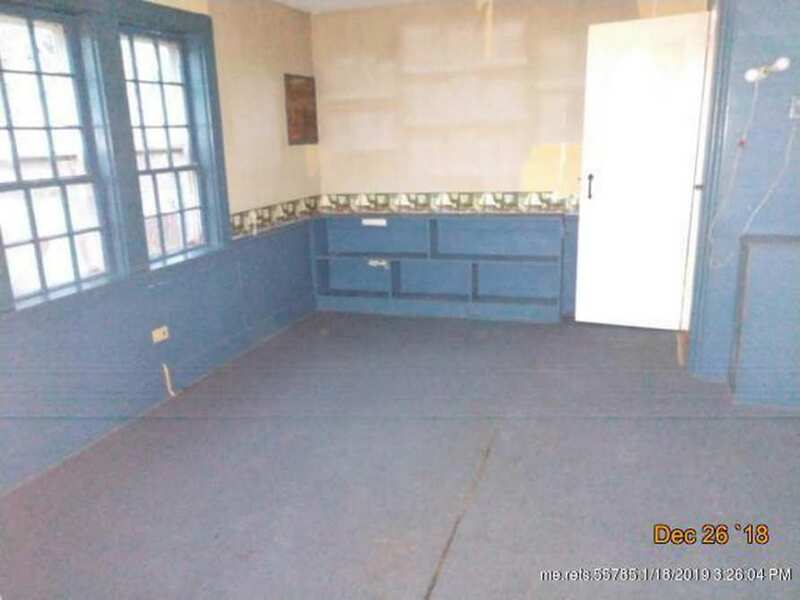 Would have someone knowledgeable come in and check out the old stove for reliability and if it was good, a good couple coats of paint would spruce it up. 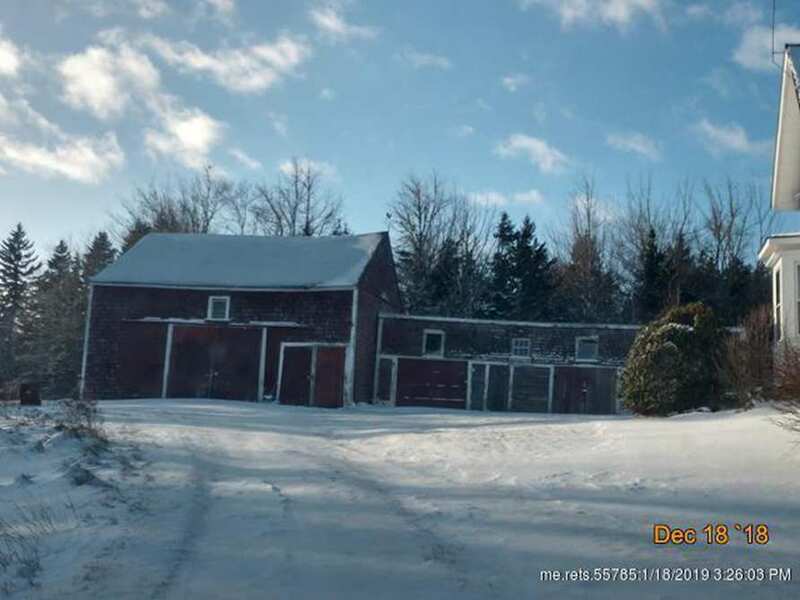 Lovely place for some fruit trees and a heated chicken coop. Thanks Kelly!